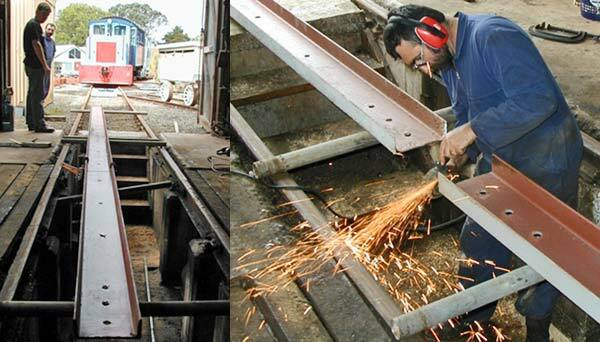 The complete restoration of the 1925 vintage passenger carriage is funded by a generous grant from ASB Trusts. It is a long-term project and requires a complete reconstruction of the frame and running gear. Club Tresurer Neil Wood prepares I-beams for welding.